Self-healing wide range of plates to protect our desks. The cutting plates or salvamesas allow us to protect our desk of accidental cuts, as its self-healing material returns to its original position thereby achieving extend its life. Color (opaque) or transparent for work with Lightbox, are indispensable in our workshop. In sizes from 22x30 cm. up to 90x120 cm., intoaccount sure yours! Green Cutting Mat, 30x45 cm. 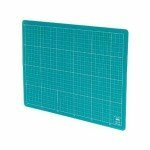 Green Cutting Mat, 45x60 cm. 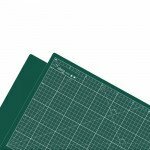 Green Cutting Mat, 60x90 cm. Green Cutting Mat, 90x120 cm. Translucent Cutting Mat, 30x45 cm. Green Cutting Mat, 22x30 cm. Translucent Cutting Mat, 22x30 cm. 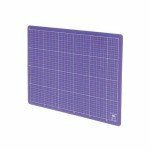 Translucent Cutting Mat, 45x60 cm. Translucent Cutting Mat, 60x90 cm.